Freakish wood carvings give owners harmony, comfort and tranquility. Wooden furniture decorations from the array look luxurious, attractive, have a special value. The natural elegance gives carving a nobility, creating a unique interior or exterior of a country house. Making carvings requires endurance, talent, and craftsmanship that artists and craftsmen possess. They create the actual things, decorations for the bath, the living room. The unshakable classic does not lose its relevance over time. Wooden products are valued out of time, remains fashionable and in demand. Connoisseurs of sturdy wood carvings can buy directly from manufacturers from Siberia. 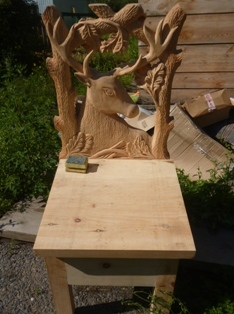 The carved figures will be the perfect complement to a country house, a decoration for a chopped house, a cedar bath, a house made of larch.